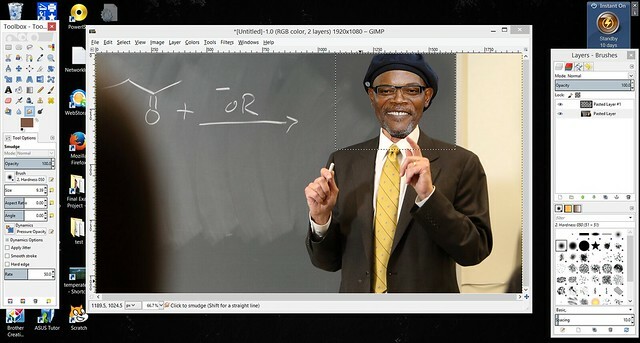 For my DS106 final project, I decided to tell a story in the day of life of Samuel L. Jackson, Ph. 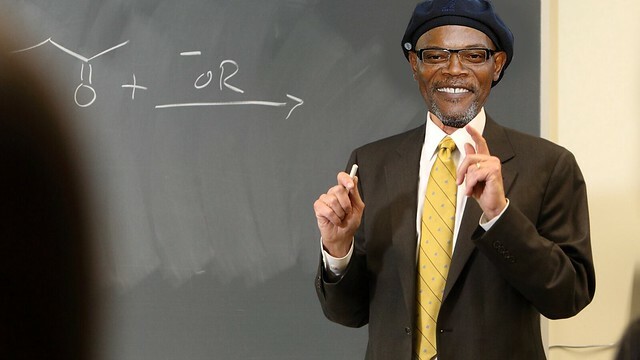 D. Now the real Samuel L. Jackson does not actually have a doctorate, which is why my Professor Jackson does. My Professor Jackson teaches philosophy at the University of Mary Washington. The reason that I chose to use Samuel. L. Jackson as my final project character is simply because of my love for his movies. Pulp Fiction and Django Unchained are two of the greatest movies I have ever seen. I absolutely despised Jackson’s character in the latter, but the fact that he was able to make his character so despicable amazed me enough to love it. Any distinguished professor needs at least one glamour shot in front of a classroom of students, and that is exactly what I created for Professor Jackson. I borrowed the idea from the Professor Groom Poster Design Assignment. I started off with a preexisting stock image of a professor in front of a class as a template. The premise of the original design assignment was to replace the head of an already existing image with that of Professor Jim Groom. 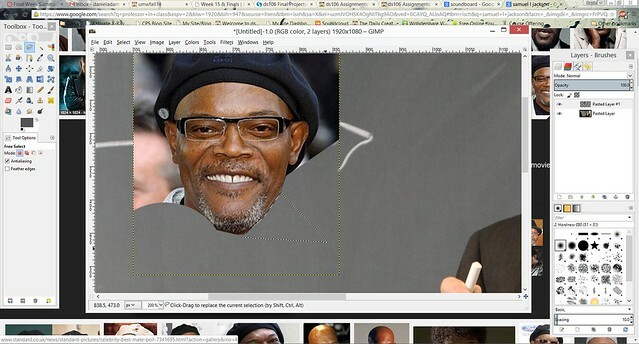 Instead, I replaced it with the head of Samuel L. Jackson. After I had this stock photo, I imported it into GIMP to begin editing. 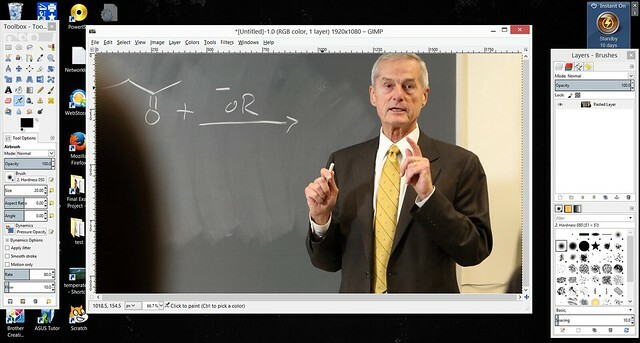 Once I completely cut away the background of the image, I positioned it over the head of the professor. Some scaling of the head was necessary to make it look as natural as possible. The image on the board is related to organic chemistry, which is quite different from philosophy! I like to think that Professor Jackson is quite eclectic in his studies, and does not limit himself to simply one subject.